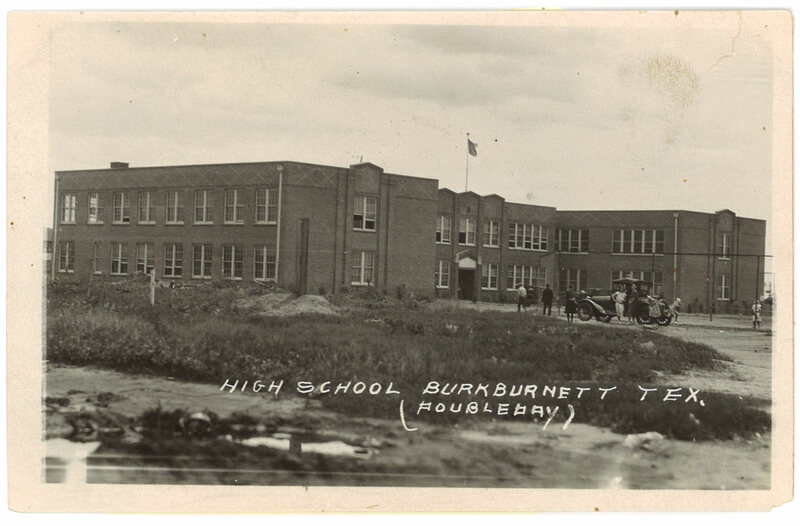 Burkburnett High School was first organized as a regular standard high school by superintendent J.M. 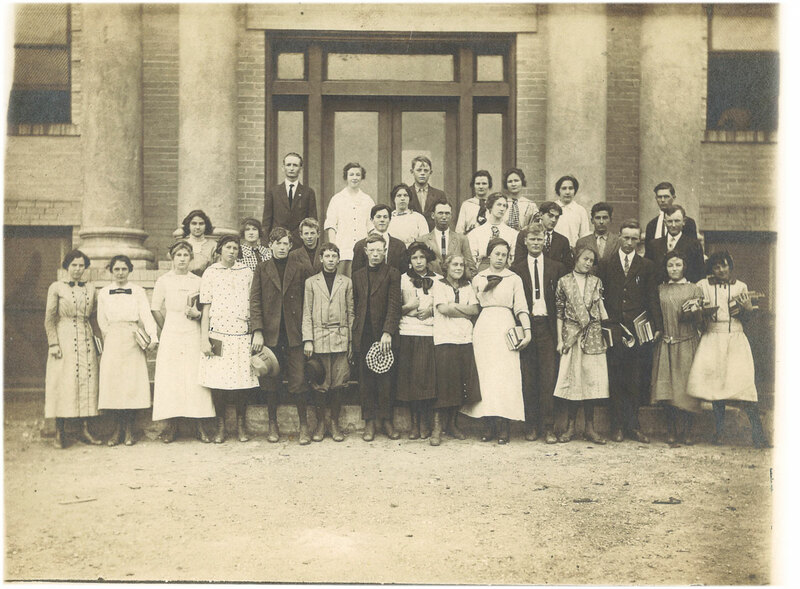 Perkins in 1911 and celebrated the graduation of the school’s first senior class in 1914. Before that date some high school work had been done as advanced work in the elementary school (photo #1). A bond issue was voted on April 10, 1911, for the construction of a three-story yellow brick school building to serve all grade levels at a site located between College Street and Avenue D (photo #2). 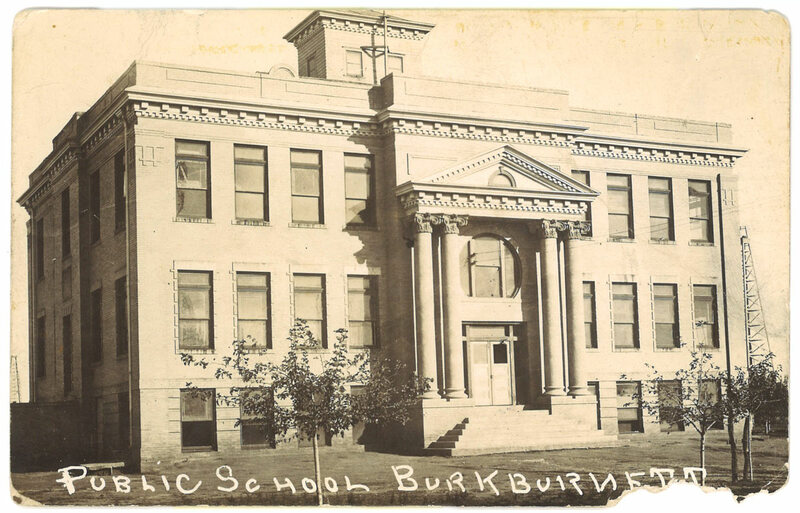 In 1917, while Burl Bryant was superintendent of the schools, a second brick structure for high school and junior high school students was erected behind the three-story multi-grade level campus. 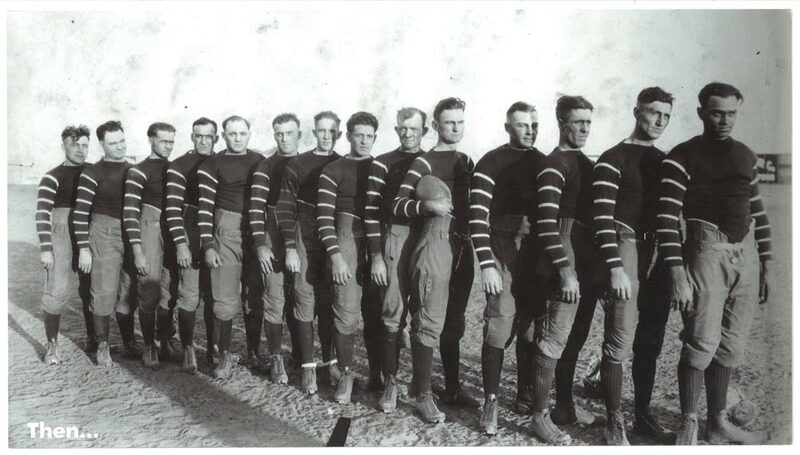 In 1917, the high school received seven and one-half units of affiliation with the University of Texas. In July, 1918, the Fowler oil well brought quick growth to the city of Burkburnett. The increase in the student body of the school required the construction of another school building. 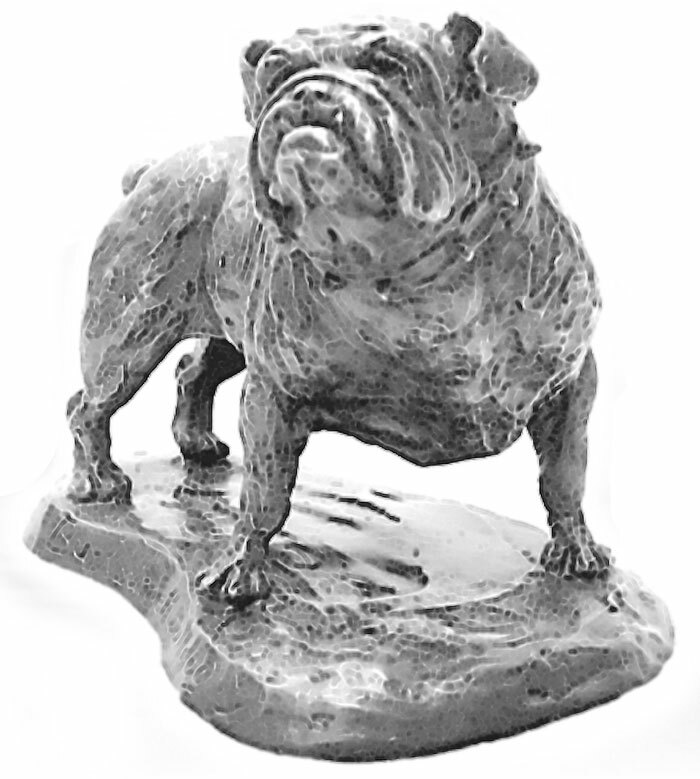 A bond issue of $150,000 was voted in 1922. The two-story red brick structure (photo #3) located at the corner of Avenue D and Glendale Street served as the community’s high school until it was outgrown in the early 1960’s due to construction of 600 housing units on Sheppard AFB land located in Burkburnett ISD. 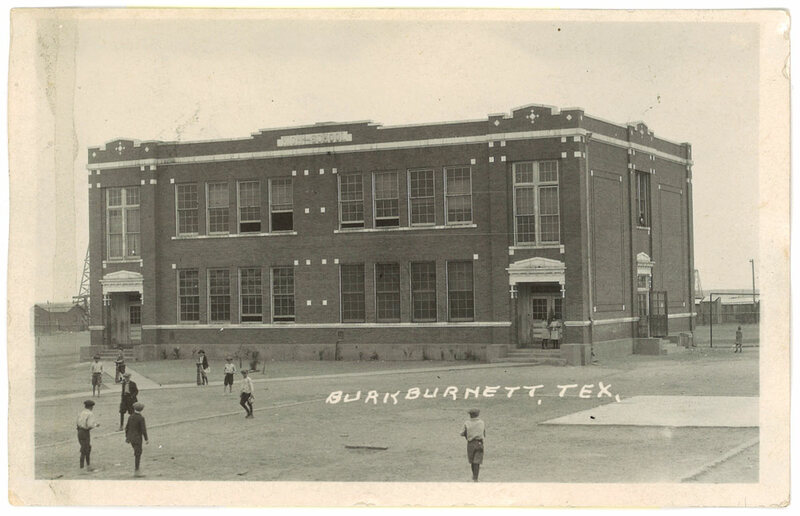 From 1923 until desegregation was achieved in 1963, Burkburnett’s Afro-American students attended Booker T. Washington High School in Wichita Falls. Burkburnett ISD was the first school district in North Texas to desegregate all public school campuses. Due to significant federal funding (PL-815) in 1959-1960, the first phase of a new high school is opened on a thirty-acre site located between Kramer Road and County Road as a junior high school; thus allowing, the annexation of the existing junior high school campus occupied in 1952 located at Avenue D and College Street by neighboring high school as a temporary relief for rapidly growing student population. 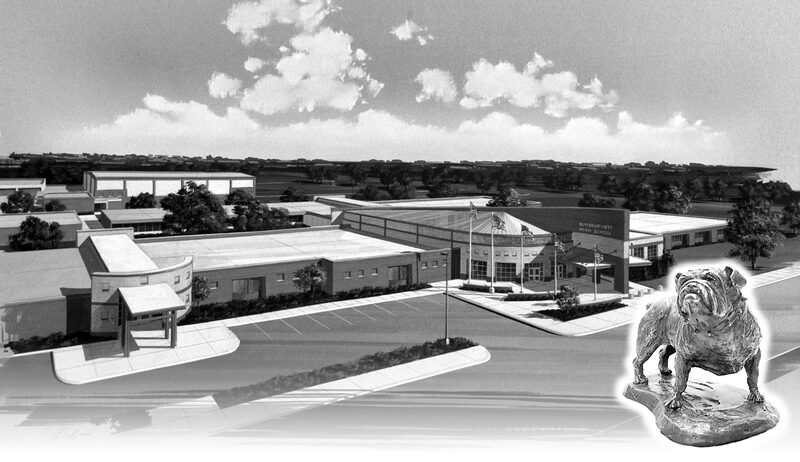 In 1960, voters approved a bond election to complete the construction of a new high school campus on Kramer Road. The last graduating class from Avenue D and Glendale two-story building occurred in May, 1963. Since that time, both the curriculum and the student body have continued to grow. In 1978, BHS attains its peak enrollment, 1,309 students. Highlights of the expansion included an additional instructional wing in 1979. In 1996, voters approve major renovations and additions to high school campus including a landmark rotunda entry, classrooms, 2,000 seat gym and administrative offices. In 2015, voters approved the largest bond issue in school district history, $49 million for renovations and construction including a new elementary school. Significant changes to the high school campus include: new instructional wing to replace all portable structures, upgrade of science labs, renovation and expansion of band hall, synthetic turf on football field, new football field house, baseball field lighting upgrade and locker room upgrades, tennis court replacements with locker rooms, and miscellaneous facility components, systems and life-cycle renewals. Renovations and renewals will be completed in time for the fifty-fifth anniversary celebration of the occupancy of the “New” high school campus. All hail our Alma Mater.